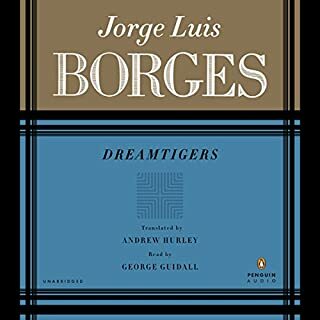 Would you try another book from Jorge Luis Borges and Andrew Hurley (translator) and/or George Guidall? What was one of the most memorable moments of Collected Fictions? Every inch of this collection is precious. Guidall provides an excellent and highly enjoyable reading rich with the tone of a gifted storyteller. AS annoyed as I am that this is such a small selection of the stories in the Collected Fictions edition, the readings are very enjoyable. The price is out of line considering how little of the actual book is included in this paired down collection. Audible shouldn't be using the original book cover in the product page as that visual lead me to misunderstand that I'd be getting that exact edition in an audio file. A selection from The Collected Fictions of Jorge Luis Borges. 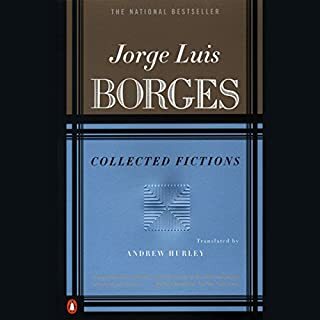 This single track is listed on Amazon as the audio equivalent of a roughly 100 page compilation of stories by Borges, so I expected and hour or two of content at least. No indeed it is merely a 2 minute teaser and quite misleading considering its placement. Disappointing.